Welcome to the PeacePvP Buycraft website! 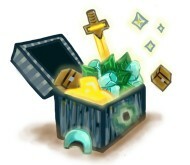 Purchase all the items you need to enhance your factions experience on the PeacePvP server! Usernames are Case-Sensitive so make sure that your username is typed out as seen on Minecraft. Welcome to our online store! PeacePVP and its associates provide their services to you subject to the following conditions. If you visit or shop within this website, you accept these conditions. Please read them carefully. 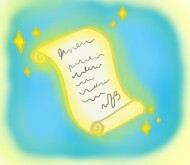 When you visit PeacePVP or send e-mails to us, you are communicating with us electronically. You agree that all agreements, notices, disclosures and other communications that we provide to you electronically satisfy any legal requirement that such communications be in writing. All content included on this site, such as text, graphics, logos, button icons, images, audio clips, digital downloads, data compilations, and software, is the property of PeacePVP or its content suppliers and protected by international copyright laws. The compilation of all content on this site is the exclusive property of PeacePVP, with copyright authorship for this collection by PEACEPVP, and protected by international copyright laws. All other trademarks not owned by PEACEPVP or its subsidiaries that appear on this site are the property of their respective owners, who may or may not be affiliated with, connected to, or sponsored by PEACEPVP or its subsidiaries. This site or any portion of this site may not be reproduced, duplicated, copied, sold, resold, visited, or otherwise exploited for any commercial purpose without express written consent of PEACEPVP. You may not frame or utilize framing techniques to enclose any trademark, logo, or other proprietary information (including images, text, page layout, or form) of PEACEPVP and our associates without express written consent. You may not use any meta tags or any other "hidden text" utilizing PEACEPVPs name or trademarks without the express written consent of PEACEPVP. Any unauthorized use terminates the permission or license granted by PEACEPVP. You are granted a limited, revocable, and nonexclusive right to create a hyperlink to the home page of PEACEPVP so long as the link does not portray PEACEPVP, its associates, or their products or services in a false, misleading, derogatory, or otherwise offensive matter. You may not use any PEACEPVP logo or other proprietary graphic or trademark as part of the link without express written permission. If you use this site, you are responsible for maintaining the confidentiality of your account and password and for restricting access to your computer, and you agree to accept responsibility for all activities that occur under your account or password. If you are under 18, you may use our website only with involvement of a parent or guardian. PEACEPVP and its associates reserve the right to refuse service, terminate accounts, remove or edit content, or cancel orders in their sole discretion. PEACEPVP and its associates attempt to be as accurate as possible. However, PEACEPVP does not warrant that product descriptions or other content of this site is accurate, complete, reliable, current, or error-free. Refunds will not be reinstated under any circumstance including but not limited to being banned on PEACEPVP’s servers or store page. I acknowledge that if I try to make a claim to return my payment because I feel liable that it is instantly nulled and is not legally responsive. The buyer has a right to personal information and it will only be saved until the sale is completed. 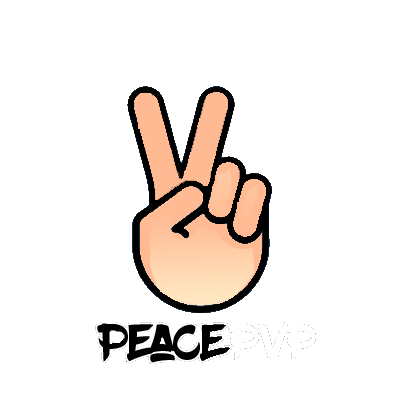 PeacePVP however will/is not held responsible for any information that is leaked. PeacePVP requires that if under 18 you have received a parent or guardians permission to buy an item however we are not held responsible to refund any purchase made by an individual under the age of 18 that does not have permission from a parent/guardian. PeacePvP is NOT affiliated with Minecraft, Mojang AB and/or Notch Development AB.